Start your day with an excellent cup of coffee at welcoming Coffee Island near Leicester Square, famous for its perfectly crafted flat whites. For an elegant take on the English breakfast, try Hotel Café Royal’s special Iberico ham eggs Benedict, or pick something from their dazzling cake offer. Alternatively, if you are visiting on Sunday, give your morning brunch an Indian twist at Kricket, whose menu boasts masala dosas and mango lassis. Take some time to explore lively Chinatown nearby, and take your pick from Asian treats, such as matcha ice cream-filled taiyaki waffle cones for your mid-morning snack at Bake. Head north, and wander around Charlotte Street and the pretty streets of Fitzrovia and nearby King’s Cross. 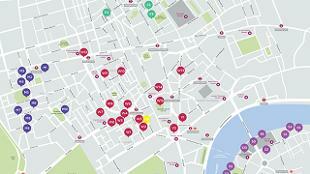 Choose from a host of small independent museums with unique and curious displays. Learn about the fascinating history of London’s canals at the London Canal Museum, or discover London’s first home for abandoned children at Foundling Museum. Love science? The Wellcome Collection explores themes around health and medicine, while at the Grant Museum of Zoology you can come face-to-face with more than 68,000 different specimens. By now you'll have worked up a healthy appetite, so hop on the Tube to Covent Garden and enjoy a rewarding meal at one of Seven Dials’ eclectic restaurants. Treat yourself to a north African feast at The Barbary, or indulge in a rich bowl of Japanese ramen at Bone Daddies. Traditional French bistro Mon Plaisir and pizza masters Rossopomodoro are an ideal choice for those preferring European flavours. It’s now time for some sightseeing. 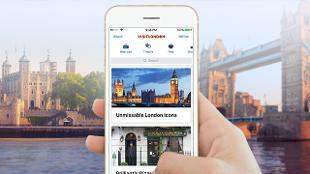 Move to iconic Trafalgar Square, home to Nelson’s Column and the famous lion sculptures. You can warm up with a cup of tea at quirky Café in the Crypt, downstairs at St Martin-in-the-Fields, or pay a visit to the magnificent Admiralty Arch on The Mall. Peaceful St James’s Park is the ideal destination for an afternoon stroll: remember to cross the bridge over the lake for stunning views of Buckingham Palace and stop-off at The Household Cavalry Museum to learn more about the Queen's soldiers. As the sun sets, the spectacular Lumiere London installations come to life. Enjoy exploring the light artworks in Westminster and Victoria, and cross Westminster Bridge to discover more installations along the Thames in South Bank. Then, warm up with a sophisticated Indian dinner in Westminster at either The Cinnamon Club or Quilon. The night is young, and you might have time to catch some of the stunning Lumiere London installations in London's West End or Mayfair before they’re switched off at 10.30pm. These are also great areas if you’re looking for a fancy cocktail, with the May Fair Bar, Green Bar, London Cocktail Club and the Experimental Cocktail Club in easy reach. 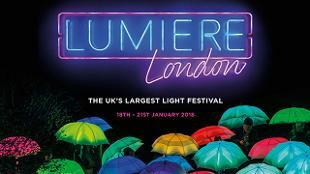 There are too many Lumiere London installations to see in one night, so consider staying in London for longer. Follow our two, three and four-day itineraries; or treat the kids with our family itinerary, each taking in plenty of fun attractions by day and the lights by night.